Two Dolphin Wave 300 XL have been on active duty since 2011, at the University of arizona. and a 6m (20ft) deep diving pool. 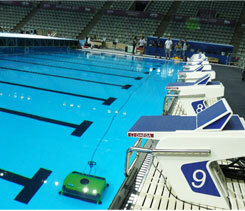 to equip 15 municipal pools with Dolphin Wave 300 XL robotic pool cleaners. More then 25 units were placed in pools with with diverse shapes. The Wingate Institute is Israel's National Center of Physical Education and Sport. 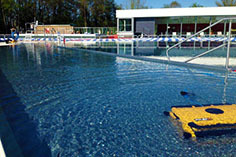 Three Dolphin Wave Xl robots have been working in its two existing pools since 2008. The Institute’s new pool, built in 2013 according to the high standards of the International Swimming Federation, has 10 lanes and is 50X25m (164 x 82 ft), and 3m (10 ft) deep. Another Wave XL has been purchased for this pool, and is cleaning it constantly. Located in the heart of Corfu Island, this is the biggest water park in east Europe. Aqualand operates two Dolphin Wave300 XL in all bodies of water, of different shapes and depths. In 2011 Shenzhen (north of Hong Kong) was host to Universiade sports games. Since then it is the home of a Dolphin Wave 300 XL. 2013 World Aquatics Championships held in Spain (Barcelona), are host to thousands of people from different countries and cultures from all over the world. Maytronics Distributor "Blautec" has been chosen to be the supplier of maintenance equipment for this tournaments pools. They have chosen to provide the Dolphin Wave 300 XL robotic pool cleaner, with cleaning capacity for pools up to 60 meters. A Waterpark in the town of Třebechovice pod Orebem. 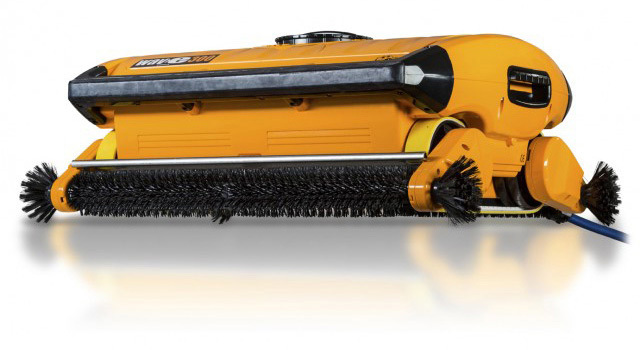 The Dolphin Wave300 XL has been cleaning the pools since 2013, in all bodies of water, of different shapes and depths. This 50m (164ft) pool includes a diving area and a beach entry, A Wave 300 XL robotic pool cleaner has been cleaning the pool since 2013, with great success. In 2014, a Dolphin Wave 300 XL was introduced in ¨Puerto Belgrano¨ military naval base swimming pool, 700km from Buenos Aires. pool size 50X25m (164 x 82 ft). Home of the Sydney 2000 Olympics, the centre now operates 2 x Dolphin Wave 300 XL cleaners with the centre getting one of the first Wave300 into Australia in 2008. They have now also added to their 2 x Waves a Wave75 to clean the Program Pool.